Rodents don’t eat wood, but they are capable of gnawing on it and damaging it. Rats can, and will, gnaw through most type of wood used in construction to gain access to harborage, food, water, and warmth. Rodents gnaw with their incisors and leave recognizable tooth marks on surfaces they damage. Why are rodents difficult to control? Commensal rodents (Norway rats, roof rats and house mice) are very difficult to control because they have learned to live successfully around humans – we inadvertently help them get their basic needs met. Rodents have high reproductive rates, are secretive, and understand how to avoid predators, learn their environments, and make use of a variety of types of food and shelter. Rodent droppings are not only unsightly, disgusting, and a sign of infestation, but they can also harbor pathogens that can make us sick. Rodent feces that contaminate food can cause food poisoning, and exposure to rodent droppings can also cause Hantavirus and murine typhus. Why is rodent control important? Rodents transmit diseases, contaminate food and surfaces, and damage our things. The reasons for control go far beyond the “ick” factor and the reality is that rodent control should be emphasized and prioritized more than it currently is. How do I get rid of rats in walls? Any rodent activity within your facility can be damaging to your product, employees, and facility. If you suspect current rodent activity, contact Copesan at 1-800-COPESAN. To take preventive measures, inspect the interior and exterior of your facility for any cracks or openings that rodents may be able to use as entry points. Rats can fit through 1/2-inch openings, while mice only need 1/4-inch to gain access to your building from outside. How can I get rid of roof rats? The key to roof rat control is to identify how they are entering a building, how they are moving within the building, and eliminating sources of food, water, and shelter. Roof rats move easily in three dimensions which greatly complicates our efforts to control them. Roof rat control is an inspection-heavy process and a variety of management techniques must be employed to control an active infestation. Where do roof rats live or hide during the day? Rodents are secretive and spend the daylight hours in nests and harborages that decrease the likelihood of being seen. Roof rats prefer to nest or hide among dense vegetation and heavy ground cover, in cavities, around trash and wood piles, and indoors in attics, ceilings, and structural voids. What diseases are spread by rats to humans? Rats are a primary vector of leptospirosis, rat-bite fever, trichinosis, and murine typhus, and can help transmit plague and Lyme disease by enabling ectoparasites to flourish and spread. In addition, rats can harbor biting lice, fleas, and ticks that can feed and transmit diseases to humans and pets. What are rat infestation health risks? 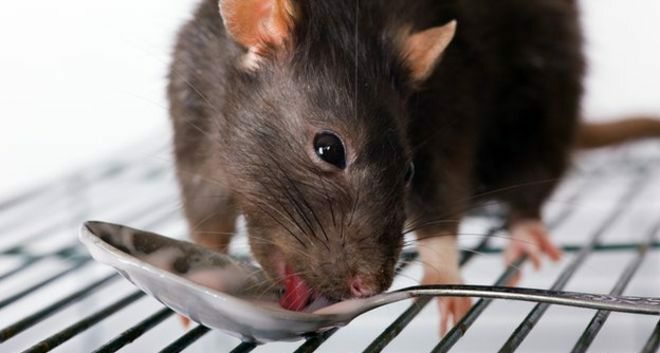 Rats are a primary vector of leptospirosis, rat-bite fever, trichinosis, and murine typhus, and can help transmit plague and Lyme disease by enabling ectoparasites like fleas, lice, and ticks to flourish and spread. The droppings and urine almost constantly excreted by rats also harbor pathogens that can make us sick. Rat feces contaminate food and can cause food poisoning.